CosmoMuse yogi, Brooke Musat, brings us some Virgo Season love with poses that help us balance our yin & yang energy for the current season. Photography by Bus Couch. With Virgo season upon us until September 22nd, we can all learn a lot about the power of discernment. Being able to sift through the intricacies of life, determining what is good and what is bad, examining the pros and cons of complex situations, and generally being able to celebrate our ability to recognize what is right and wrong for us in any given moment, is something we can thank Virgo and her ruling planet, Mercury, for. Confidence in Virgo’s ability to discern only gets stronger through their September reign with the sun in Virgo until the 22nd. The influence of the sun can bring intensity to almost any situation, so it is wise to stay balanced by recognizing the importance of rest, relaxation, and a good work/life balance. Virgo’s ruling planet Mercury is also in retrograde during this time, so be cautious not to put all your eggs in one basket, having a backup plan for everything you intend to do is probably a good idea. A yin outlook accompanies Virgo, and may be the first nod that Fall, cooler temperatures, and longer nights, are on the way. The yin of Virgo should inspire us all to cool our egos, make the most of warm evenings, and refine our lives as we prepare for the opportunities that the next season will bring. When practicing these Virgo inspired postures, be mindful of the yang and yin energies each pose brings. Bharadvaja’s Twist is an effective way to invite yang energy into the body, stimulate the digestive organs, and strengthen the spine. Inspired by Virgo for its ability to benefit the body in a myriad of ways, this pose is surely something Virgo’s gut instinct would approve of. The passive variation of Bharadvaja’s Twist is more rooted and inspired by Virgo’s earthy element. Elbows, forearms, and hands on the ground can help bring about a sense of peace and calm to an over active sympathetic nervous system. Allowing the head to hang passively can do wonders to release tension in the neck and “shoosh” a mind busy with too much judgment. 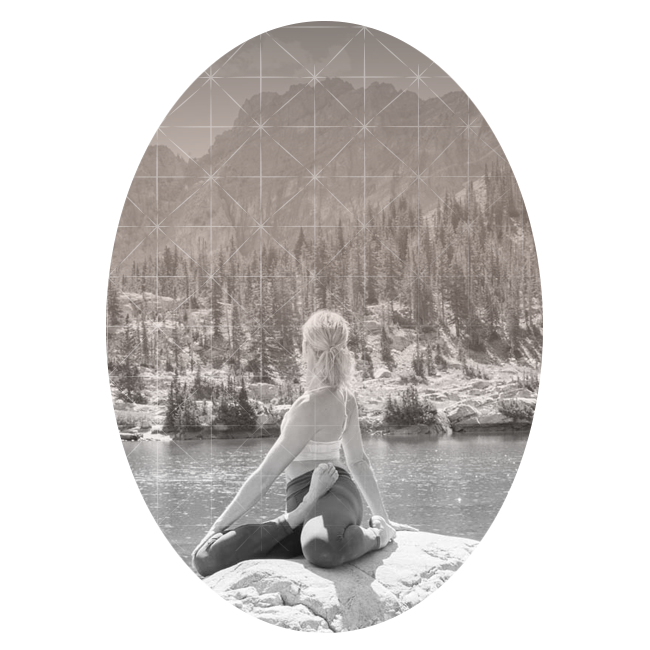 Read on for how to adapt the yin and yang postures of Virgo season for your sign’s fire, earth, air or water element. Leo and other Fire Signs (Aries, Sagittarius): Attempt this pose before sunrise or after sunset. Focus on the rhythm of the breath with your eyes closed. If this pose is readily accessible for you, think about holding the posture for a longer period of time, or repeating your expression of this pose with short breaks in-between. Earth Signs (Taurus, Virgo, Capricorn): Earth signs should practice this pose in a warm environment that is not too warm where sleepiness or lethargy has an opportunity to sink in. Attention should be paid to creating length or “airiness” into the spine. A great visualization would be to think about the top of the head and root of the sacrum being pulled in opposite directions. Air Signs (Gemini, Libra, Aquarius): If possible, Air signs should assume Bharadvajasana I right before retiring to bed at an early hour. A location void of unnecessary distractions would help Gemini, Libra, and Aquarius reap all the mental and physical benefits of this posture. If the urge to fidget begins to creep in, slowly begin to circle the head allowing the breath to be the initiator of all movement. Water Signs (Cancer, Scorpio, Pisces): Water signs should use their innate gift of awareness to observe the small shifts (tilt of the head, length of the breath, rootedness of the hips, etc) that make this posture more or less intense. Focusing in on the physical should help Cancer, Scorpio, and Pisces create distance from emotional burdens they may be carrying. Leo and other Fire Signs (Aries, Sagittarius): Fire signs should feel relaxed in this posture. If relaxation does not initially settle in, let go of the weight of the head, focus on sinking the chest toward the earth while gently squeezing the shoulder blades towards one another on the back. Long, deep, inhales and equally long deep exhales should aide in the sense of letting go. Earth Signs (Taurus, Virgo, Capricorn): In the passive variation of Bharadvajasana I, Earth signs could play with modestly rounding and arching the upper spine. Arching with an inhale and rounding with an exhale. Air Signs (Gemini, Libra, Aquarius): For grounding and a fun all-sign- variation, Air signs could practice this pose with a bolster. If twisting to the right, lay the bolster long ways just beneath the center of your chest. Palms down, stack the hands on top of the bolster. Lay head on stacked hands. Allow the chest and torso to descend toward the earth and become supported by the bolster. Water Signs (Cancer, Scorpio, Pisces): Water signs should feel free to luxuriate in the freedom of a dreamy mind in this posture, as long as “dreamy” doesn’t turn into a wandering of the emotions. Intention on celebrating positive parts of the day, or committing to exploring the creative limits of the passive Bharadvajasana I variation are all healthy approaches for Water signs in this pose.